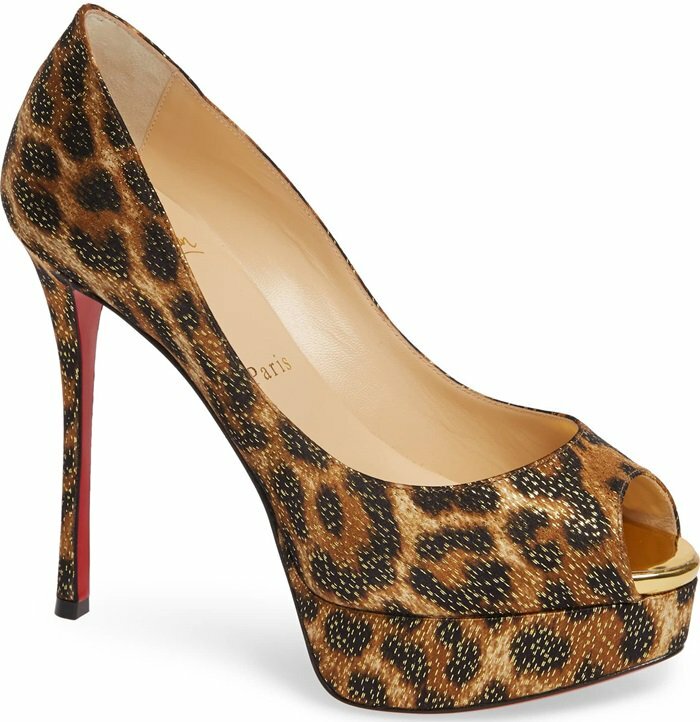 A leopard-pattern upper leaps to life in microsuede and metallic flecks on a scene-stealing tall peep-toe pump from Christian Louboutin perched on a curvy platform. We’ve previously featured the fishnet/lace and the mixed logo print versions of these pumps. 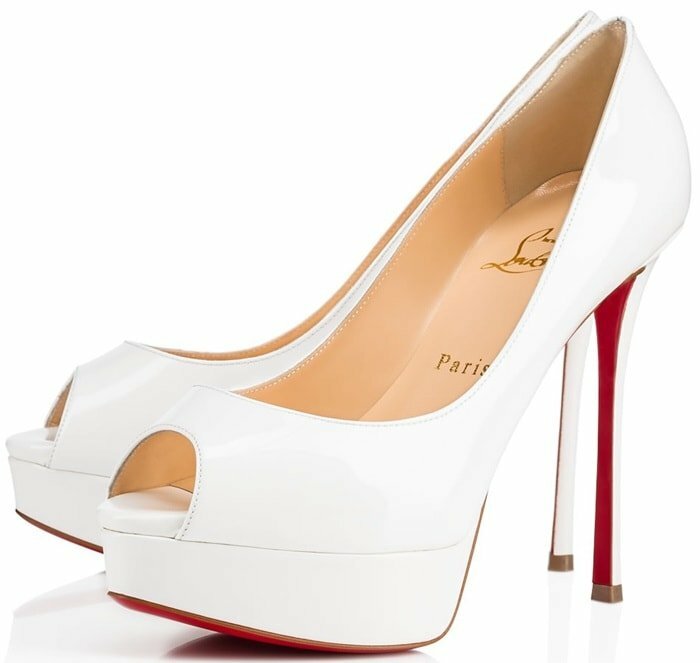 You can also buy them in glittery silver and in beige, black, and white patent leather. Which color is your favorite? 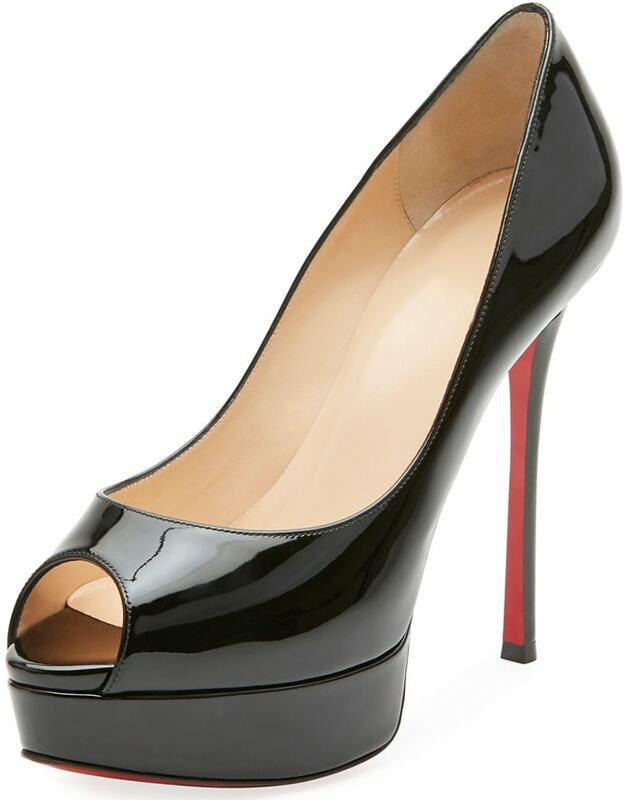 Bold and stunning, it embodies the French footwear designer’s craftsmanship. 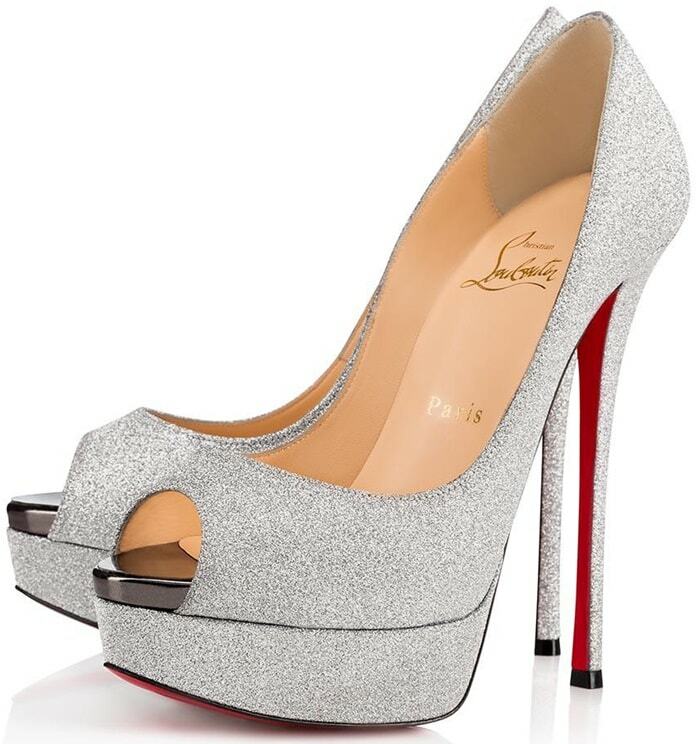 Showered in a glittery silver finish applied on a calfskin base, the peep toe stilettos create a sensual arch from their dizzying 150mm heights lifted thanks to a platform. 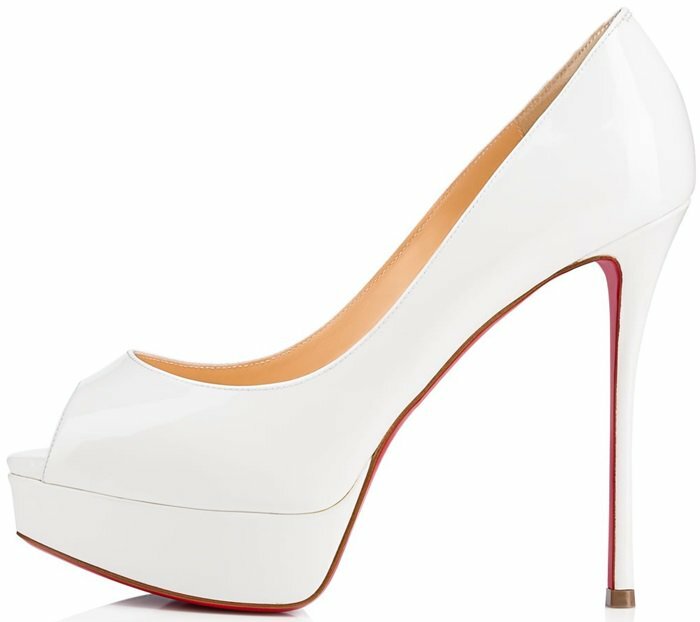 An alluring update of the signature classic “Lady Peep,” this 130mm peep-toe pump in latte patent leather stands confidently atop a slender fetish heel.